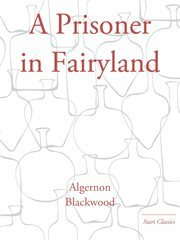 The item A Prisoner in Fairyland, (ebook) represents a specific, individual, material embodiment of a distinct intellectual or artistic creation found in Charlotte Mecklenburg Library. In the train, even before St. John's was passed, a touch of inevitable reaction had set in, and Rogers asked himself why he was going. For a sentimental journey was hardly in his line, it seemed. But no satisfactory answer was forthcoming -- none, at least, that a Board or a Shareholders' Meeting would have considered satisfactory. The old vicar spoke to him strangely. "We've not forgotten you as you've forgotten us," he said. "And the place, though empty now for years, has not forgotten you either, I'll be bound." Rogers brushed it off. Just silliness -- that was all it was. But after St. John's the conductor shouted, "Take your seats! Take your seats! The Starlight Express is off to Fairyland! Show your tickets! Show your tickets!" And then the forgotten mystery of his childhood came back to him. . .